Sometimes parents just don’t understand…that kids just want to save the world. 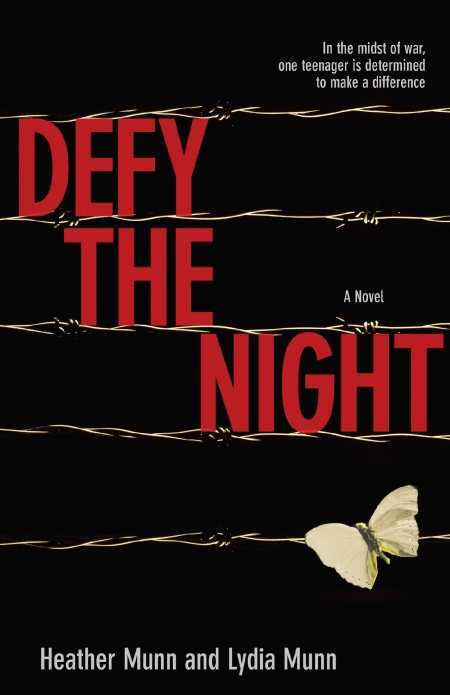 In the Munn mother/daughter premier novel, Defy the Night, a young heroine named Magali risks her life to rescue children from deadly Nazi internment camps. Surprisingly, Magali also suffers from typical teen hangups—her parents are a drag, school fails to inspire, friends are complicated, and so on. The novel is at its dramatic best when Magali is on life-saving missions, yet her personal growth occurs in the quieter moments while she contemplates the expectations placed upon her. “You know, Magali, women just have to accept certain limitations…saving lives, fighting Vichy, well no,” says her mother, who, despite the inherent sexism displayed here, only wants her daughter to be safe. Magali’s conflict then becomes one not only against Nazis, but against her fearful parents as well. “It never occurred to my mother to wonder…if I might actually save someone,” she realizes. Magali is an intensely interior, headstrong character, and the authors provide her grim narrative with a great deal of attention to emotions. The result is a read that flies during the baby-saving missions and tends to drag a bit when Magali is safely home. At such moments, Defy the Night delivers (and sometimes belabors) mature concepts about pride, achievement, and fear.